We've had our curated gifts featured on TV a few times but with that said, I don't think it will ever get old. It's always a huge honor and let's face it, it's a great way for me to prove to my parents that "gift designer" really IS a legit job title. For this feature, we were invited to be a part of Wedding Wire's Hottest Wedding Trends of 2017 segment. 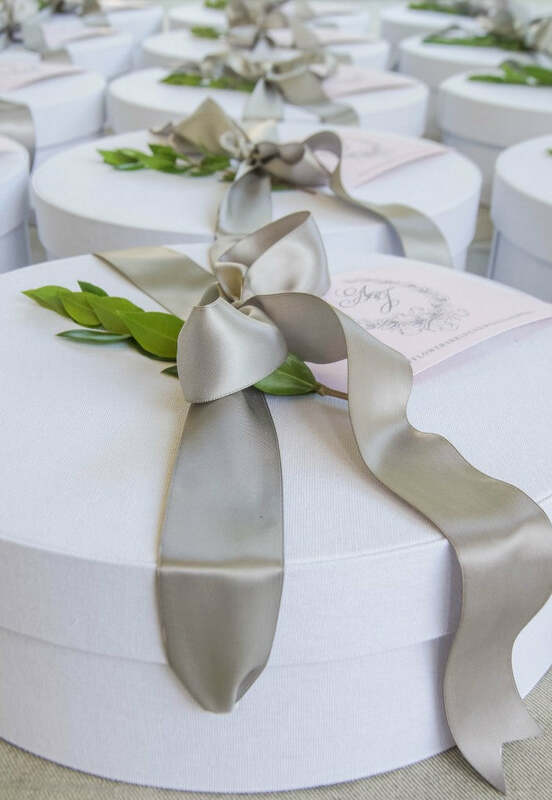 In the gifting arena, a big wedding trend we've been seeing is designing gift boxes around a specific theme. For example, brunch-in-a-box! It was a total thrill seeing two of our welcome gift designs show up on the screen of Good Morning America! Check out the video clip HERE! 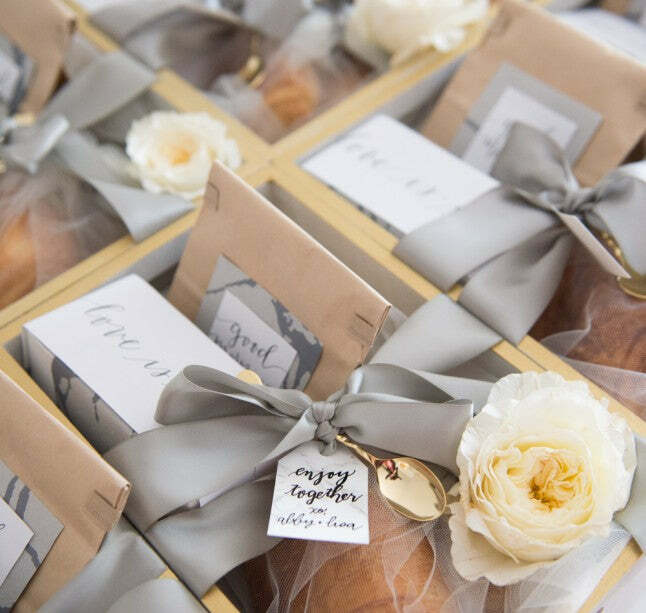 Our gift designs were up on the screen for mere seconds so just in case you didn't catch them, here are the brunch-in-a-box wedding welcome gifts that were featured. 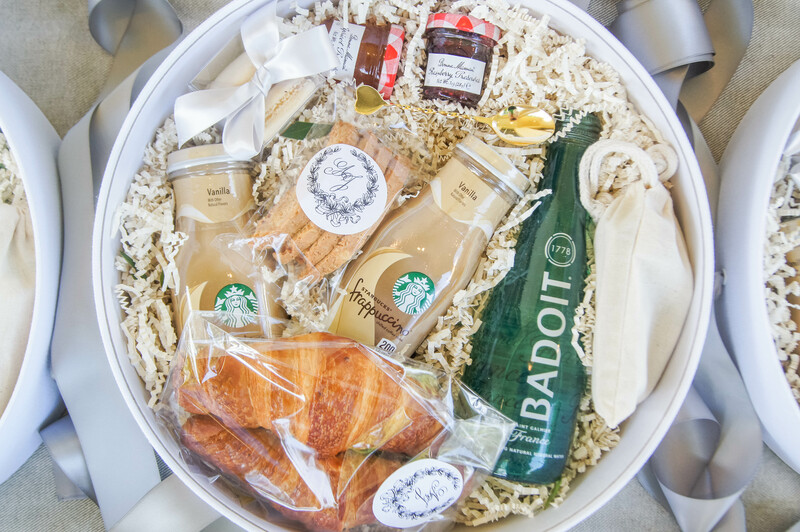 The first, French-inspired hat boxes with fresh croissants, jam, Badoit sparkling water, biscotti and more. The second, a brunch-in-box curated gift box design featuring pain au chocolat, mini donuts, coffee and more. Last but not least, we are super thankful for the photography work of Abby Jiu and Red October Photography for helping make our custom gift designs so tv-worthy! 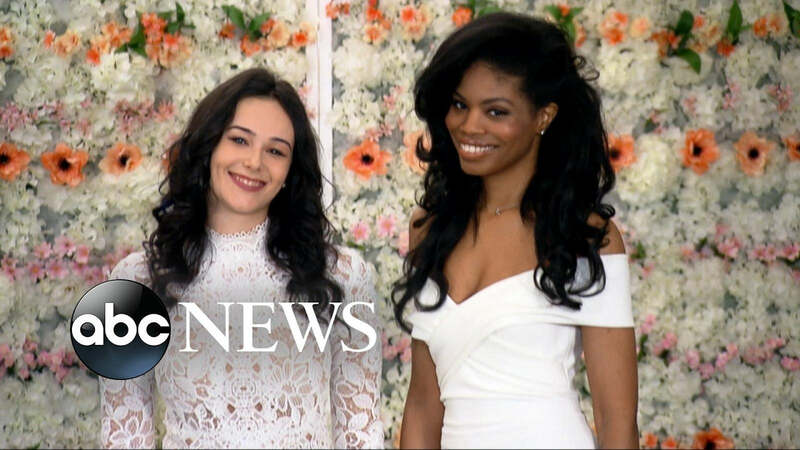 Which wedding trends are your favorites so far in 2017? We'd love to hear from you! Visit here for more information on our Custom Gift Design Service for weddings, corporate events, social events and client gifting. Welcome to the M&G Blog where we celebrate chic and thoughtful ways to make others feel cherished. We offer gifting inspiration along with behind-the-scenes glimpses into small business life. Visit us for both the practical and the pretty!